Romanian Society of Hypertension has confirmed the invitation to French Hypertension Day, an event which will be held on 20ty -21st December in Paris. 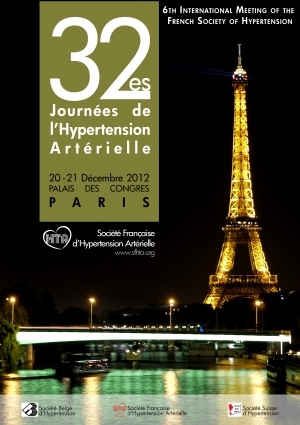 The event is the 32nd edition and is organized by the French Society of Hypertension. “The international recognition of the Romanian Society of Hypertension is very important, especially after such a short time. One of the main objectives of the Society is to align the standards of Romanians to those of Europeans and the participation to such events is an important step in achieving this goal.” said prof.univ.dr.Maria Dorobantu, President of Romanian Society of Hypertension. Free enrollment in The Romanian Society of Hypertension up on June 21st, 2012! SEPHAR IInd Study has been completed!